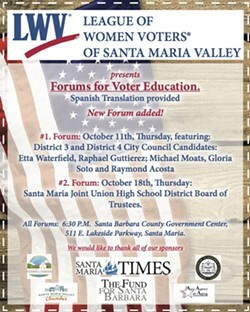 Featuring the Santa Maria Joint Union High School District Board of Trustees. Spanish translation provided. 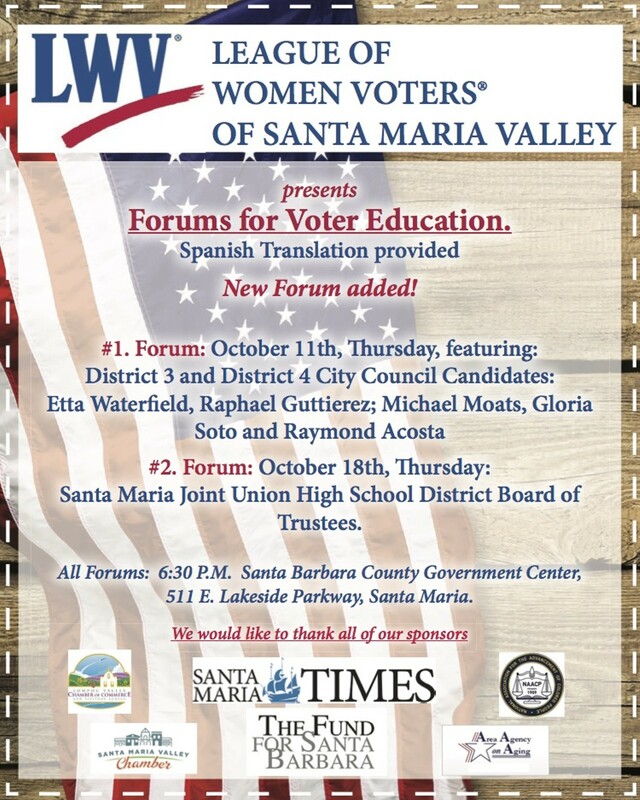 Presented by the League of Women Voters of Santa Maria Valley.